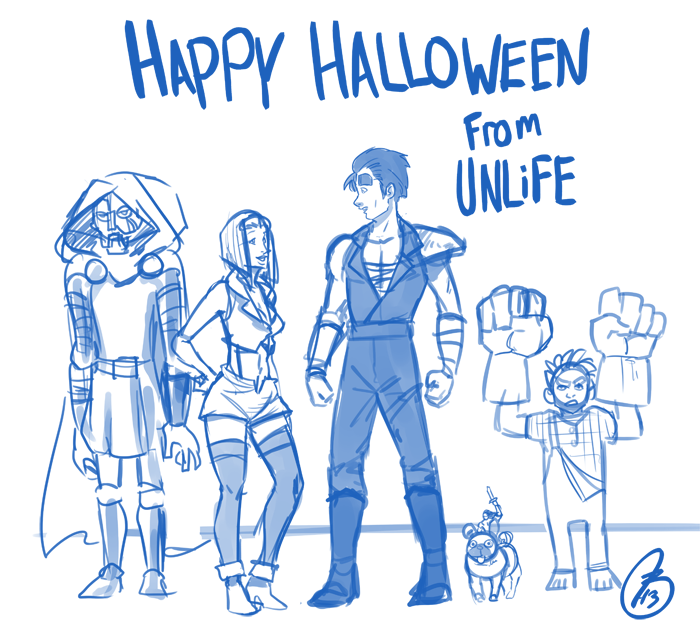 Unlife - 10/31/2013 – They’re coming to get you, Barbara! 10/31/2013 – They’re coming to get you, Barbara! 500+ Likes Giveaway! Fan Appreciation Month! We Hit 500+ likes on facebook! Thank you all for your support! and you guys are going to be getting rewards for helping us reach a new milestone! We’re giving away Steam Games on the FB page, one a week for the next three weeks. We still have copies of Bioshock, Terraria and Resident Evil 5 to give away. 1.) Like us on Facebook. 2. )Follow the instructions on the OFFICIAL giveaway posts. The Facebook page has extra content you won’t find on the main page, I often post sketches, related information, behind the scenes stuff, and we’ll try our best NOT to spam your timeline/wall with crap. And you’ll know exactly when the comic goes up or if there is a delay. More about Fan Appreciation Month, For the month of november, we’ll be updating 3 times a week. Tuesday, Thursday and Saturdays. I’ve also updated the CAST page FINALLY. We’re also going to try to do some touchups on the site itself. Thank you all for your support. 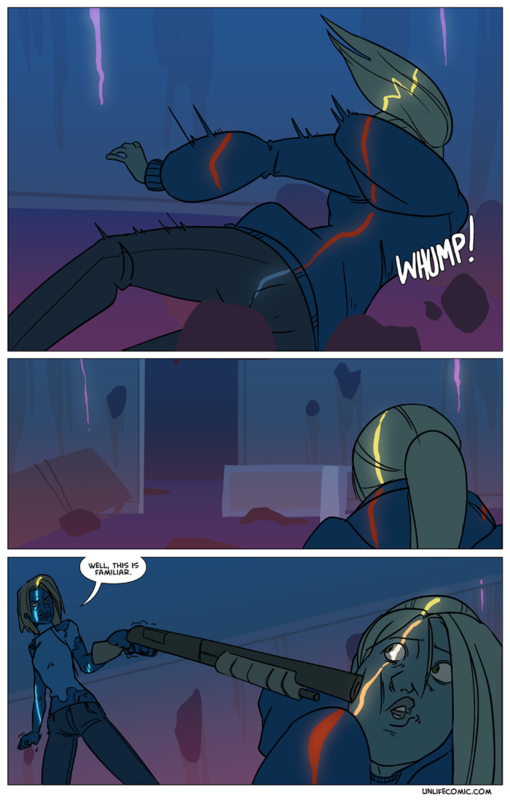 Special thanks to Hiveworks, Blaster Nation and Gone with the Blastwave.